Enjoy the Journey with TravelTab. TravelTab takes the frustration and hassle out of travel. Our feature-rich travel software and tablets make traveling and staying connected with home and work easy, efficient, and fun. Oh, and it saves you money too. Plus, our new TravelTab Kids® product line expands the ways we can support our partners and help you Travel Smarter. More Time. Less Money. More Adventures. TravelTab Adventurer is the ultimate travel companion. 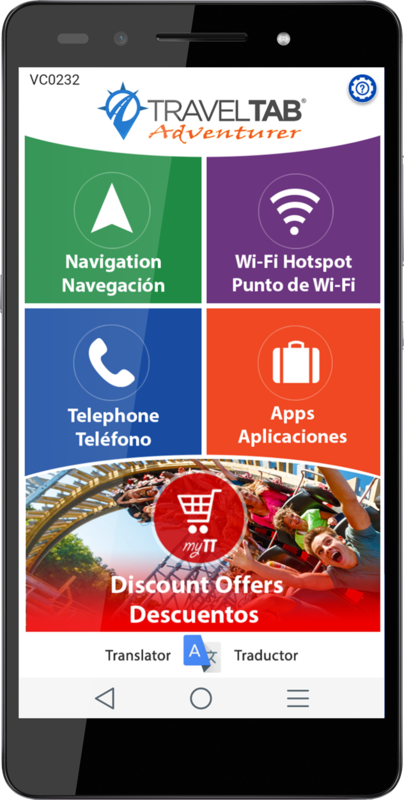 It features easy-to-use navigation, a safe, reliable and secure Wi-Fi hotspot, and eliminates costly international roaming fees. Plus local discounts will save you money in your destination. 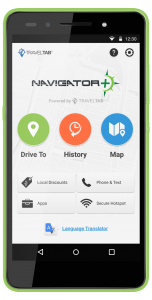 TravelTab Navigator Plus will help you navigate unfamiliar territory. 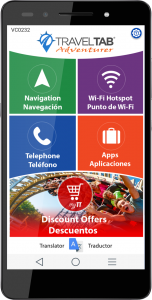 Available in many languages, our voice-activated navigation will get you there, safely, easily, and on-time. 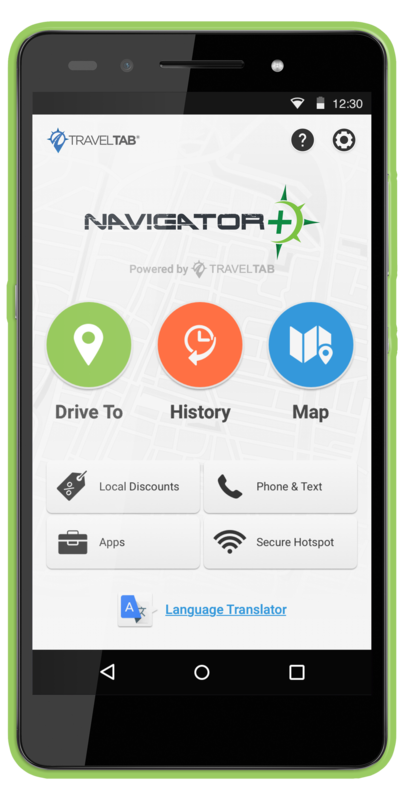 Navigator Plus comes with a wide variety of productive and entertaining apps, and local deals to help you save money! TravelTab Kids® customized strollers offer all the safety and convenience parents want, plus the comfort kids need.